The Dis-Chem Foundation has pledged to match all voluntary additional donations from participants to either of the charities below, over and above their entry fee for the 2019 event. Lambano Sanctuary was founded in 2001 and is a fully registered residential care facility to 30 orphaned and vulnerable children (OVC) infected with HIV. The organisation was established in response to the lack of facilities caring for HIV children at that time. Visit www.lambano.org.za for more information. The Namaqua Dog & Donkey Foundation’s main focus is outreach work focusing on the sterilisation, vaccination and on-site treatment of animals in informal settlements on the East Rand. Lambano Sanctuary was conceived in 2001 in response to the HIV/AIDS pandemic in South Africa. 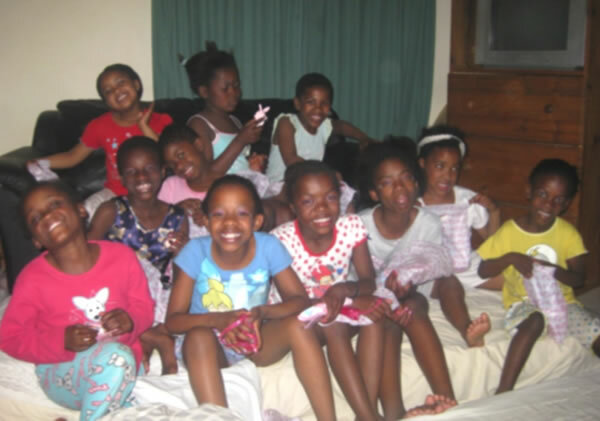 Today Lambano has grown to 4 Homes permanently caring for 28 HIV positive children between the ages of 9 and 19. In 2009, we opened the first dedicated Paediatric Medical Stepdown Facility/Hospice in Gauteng, initially only taking in HIV+ children. However, having gained experience in caring for ill children, we expanded our service to care for children with all life limiting and life threatening illnesses. These children have virtually no hope for survival, yet 85% of these tiny dependents beat the odds. With unwavering dedication and unconditional love, we micro-manage each child, going to exceptional lengths to secure the best medical treatment for them. We not only care for the child, but we take care of all the social needs of their families as well. We have built strong relationships with public medical services and a pool of private doctors and hospitals that provide services at a significantly reduced rate, if not pro-bono. Our 16 bed facility is run by 22 dedicated, medically trained staff members, from a doctor down to caregivers. and governance to broader quality assurance. Homes – As stated above, we have four (4) Homes that house 28 permanent residing children. All of these children are infected with HIV and we ensure that they maintain a healthy lifestyle and receive the necessary support at school. HIV and its medication often cause learning difficulties and so we have had to invest in sourcing extra education support for our children. Hospice – The Hospice takes in HIV/AIDS children for Palliative care (care of the dying) as well as offering children a medical step down medical facility from hospital or the community. We also take in children suffering from other health problems like renal, cardiac, brain damage, cancer, muscular dystrophy and respiratory problems. Many children came in desperately ill or dying and due to the medical intervention and care we were able to give them, most are now leading healthy and productive lives. We would like to invite individuals and organisations to share this journey with us and to experience the powerful proof that, with a little love and care, anything is possible. It costs us approximately R7 800 per month to care for each child, allowing us to provide education, food, clothing, housing and specialised medical care. As an NGO, we rely heavily on funds in order to continue our effective services to benefit the disadvantaged children under our care and those admitted to the Hospice. Marketing and fundraising events have become a reliable source of small scale but regular income for Lambano. I also take this opportunity to invite you to visit our Homes & Hospice where our children will greet you with big smiles despite their ill health. Many thanks for giving us this opportunity.